This is the verbatim transcript of ICICI Securities management call with analysts. Moderator: Ladies and gentlemen, good evening and welcome to the Earnings Conference Call of ICICI Securities Limited for the quarter and nine month ended December 31, 2018. We have with us today on the call Ms. Shilpa Kumar – Managing Director & Chief Executive Officer and Mr. Harvinder Jaspal – Chief Financial Officer. you to a discussion on the performance of ICICI Securities for the quarter and nine month ended December 31, 2018. Our ‘Business Presentation’ is available on our website for your easy reference. First, looking at the backdrop, year 2018 was a volatile year for the global financial markets. At the start of 2018, the optimistic sentiments of the past calendar year 2017 got extended; however, as the calendar year progressed, the traction for US market pulling funds back into US assets and resultant sell-off in other developed and emerging markets influenced our markets as well. Most key emerging markets were also impacted by the global trade war and the surge in crude prices. FIIs were net sellers in equity till October 2018 and in the last two months were net buyers amid softening crude oil prices and rupee recovery. On the domestic front – liquidity issues in the NBFC sector adversely impacted the flows into financial markets and the performance of equity markets in particular. Fundraising through equity slowed down substantially during the year specifically Q3-FY2019 resulting in 77% year-on-year decline in equity fundraising. by 8% at Rs 22.9 trillion as on December 31, 2018 on year-on-year basis from Rs 21.3 trillion as on December 31, 2017, assisted largely by consistent increase in SIP flows and robust participation of retail investors despite volatile market. As a fundamental India growth continues, we believe that the structural opportunity in the financial savings market remains attractive while factors such as global trade protectionism, oil price volatility, etc., might have a short-term impact. In early December, we articulated our long-term strategy for our Retail and Institutional businesses. For Retail business, we had shared a twin-strategy – More Clients, More Engagement, aided by a technology edge, which we further intend to enhance by adopting a strategy of digital openness to compete in the ever-evolving digital market space. For Institutional business, we continue to cater to the needs of our corporate clients by helping them with appropriate solutions through their lifecycle. The first, our Digital acquisition T20: With the objective of faster client onboarding post Aadhaar Supreme Court judgment, we have redesigned our digital processes of client acquisition and will redeploy our T20 product. customer-first approach and further strengthen our strong liquidity-based proposition. Third, in line with our strategy to focus on tapping the potential in tier-2 and tier-3 cities, we launched a mobile app for our business partners team of more than 6,500 IFAs and authorized person. This app will assist partners to initiate mutual fund transactions on behalf of their customer, provide information on customer transaction, provides analytics and track their receivables which was earlier available only on a desktop version. process-based risk assessment, defined asset allocation strategies and active investment advisory. It also provides integrated portfolio reporting in depth analytics on investments and capital gain statement on the digital platform through a tiered AUM linked fee structure with zero compensation from manufacturers thus ensuring alignment of interest. Our company registered consolidated revenue of Rs 12,987 million for 9M-FY2019 as compared to Rs 13,505 million for 9M-FY2018. changes related to mutual fund commission. Broking and Corporate Finance revenues declined mainly on account of high revenue base last fiscal and muted market conditions. Consolidated profit after tax for 9M-FY2019 was Rs 3,692 million compared to Rs 4,024 million for 9M-FY2018. We were able to maintain our cost with total cost declining marginally from Rs 7,353 million to Rs 7,304 million in 9MFY2019, a decline of 1% implying net margin of 28% for the nine months this year, similar to the nine months last year. Our return on equity continues to remain robust at 55% annualized. in 9M-FY2019 despite an uncertain and volatile market scenario. If we look at some highlights of the Broking business – industry broking volumes ADTO (ex-proprietary) was up 58% Y-o-Y led by 62% growth in derivative ADTO and 4% growth in equity ADTO. During the same period, I-Sec ADTO grew at 48% with equity ADTO volume growing ahead of market at 10% and derivative ADTO volumes growing by 51%. Our market share was at 8.5% in 9M-FY2019 compared to 9.1% in 9M-FY2018. Rs 6,676 million to Rs 6,197 million and Institutional Broking revenue increased by 4% from Rs 813 million to Rs 844 million. Interest income from our Brokerage business has grown by 17% from Rs 1,125 million in 9M-FY2018 to Rs 1,315 million in 9M-FY2019 primarily on account of margin funds deployed with exchanges. Our Mutual Fund average AUM was Rs 346 billion in 9M-FY2019, a growth of 19% from Rs 292 billion in 9M-FY2018 compared to the market AUM (average) growth of 14% on Y-o-Y basis. Our mutual fund revenue was Rs 2,103 million in 9M-FY2019, growth of 6% from Rs 1,990 million in 9M-FY2018. Decline in our Q3-FY2019 MF revenues was majorly on account of significant regulatory change; where for the quarter from October 22, 2018 there was no upfront MF commission. This would now be getting added to the trail income going forward and hence would take some time to get accrued. We believe that our shift in focus from higher upfront to higher trail in 2015 will help us navigate this regulatory change much better. Further, our focus on SIPs has resulted in 17% Y-o-Y growth in SIPs triggered in the last month of the period from 0.6 million in 9M-FY2018 to 0.7 million in 9M-FY2019. Our Life Insurance revenue grew by 4% from Rs 302 million in 9M-FY2018 to Rs 314 million in 9M-FY2019. The equity capital markets saw decline of 77% in terms of fund mobilised or raised resulting in slowdown in ECM activities of the company. Our investment banking revenue was Rs 862 million in 9M-FY2019, a decline of 24% from Rs 1,136 million in 9M-FY2018. The company handled a number of Investment banking transactions in 9M-FY2019 including IPOs, InvIT, Rights issues, OFS and advisory deals. Going forward, the IPO activities are expected to increase with ~ Rs 730 billion worth of issues filed with SEBI. We continue to focus on building our advisory capabilities and as a result were chosen advisor in various capacities in 10 deals for 9M-FY2019 compared to 5 deals for FY2018 (as reported by Merger market). We acted as financial advisor to LIC of India to increase its equity stake in IDBI Bank up to 51%. We have also been selected as an advisor by finance ministry for M&A deals. I would like to sum up by saying we are very excited about the long-term opportunity facing our business and are confident that our strengths and our strategy of lifecycle approach, focusing on customer acquisition, focusing on customer engagement, will help us in fully tapping the significant opportunities ahead. Thank you and we are now open for any questions that you may have. Moderator: Sure, thank you very much. We will now begin the question-and-answer session. We will take the first question from the line of Laxmi Narayanan from Catamaran. Please go ahead. Laxmi Narayanan: Couple of questions I have; first is on the retail broking side, what is the blended brokerage in terms of bps retail investors give you and what is the plan forward because I understand that there is a decline in your market share? The second part of the question is after the October 22 regulation, where the upfront commission to distributors is removed and is going to be trail commission and you said it will take some time for things to get readjusted for you. If you can just elaborate how it happens, for example, if you are getting 8% revenues in your commission business on mutual fund, how much was upfront and how much was trail and how do you think this will pan out in the next two years or three years? Shilpa Kumar: Let me first start with your first question which was on yield. more business with the brokerage platform. So the combination of both is important to us and therefore we actually simply focus much more at a business level in terms of getting customer engagement up and getting customer acquisition up. That is really how we think of the business. If I look at market share it is true that our market share if we just take all of the numbers, we are still somewhere between 8.5-9% which has been our market share and I think the positive thing that we feel is that we have continued to add customers and also continued to do a lot more with each customer that we add. So, that is the first point. industry, is that the reduction due to upfront would reduce as we move ahead because this should come back as trail over a period of time. 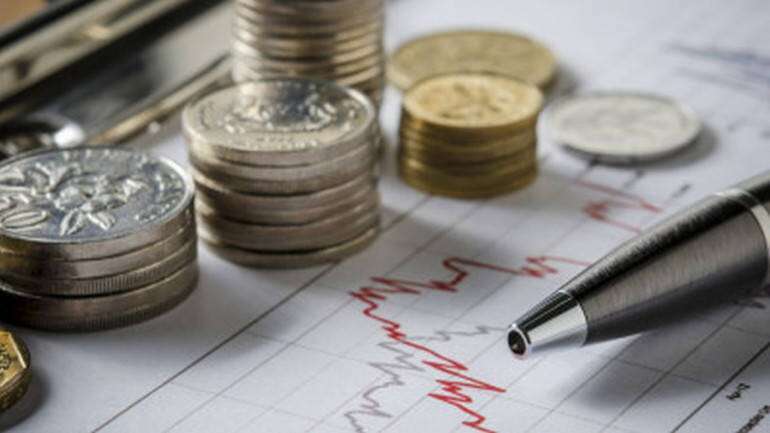 Laxmi Narayanan: Is it fair to assume that the chunk which you accrued in FY2019 that would be reduced by around 25%? in MF have been rolling out during the course of the year in FY2019. If you look at it B-15 to B-30 came into effect from April 1, 2018 and the exit load came into effect from June 1, 2018. So, it is only the upfront commission which came this quarter. Of course, it is a large one but all of these things are not insignificant because B-15, B-30 was 0.3% and if you take the exit load change, it was actually 0.2% going down to 0.05%. We have been seeing this change all the way from April 1 onwards and therefore you have been seeing it for bulk of this year already. Therefore, only the upfront part you would have been for ~ 2.5-months in this quarter. Laxmi Narayanan: Okay, the upfront has already started, okay, fine. I thought it is from April 1 onwards. Okay. about TER depending on the AUM size and classification what you can charge. Moderator: Thank you. We will take the next question from the line of Nischint Chawathe from Kotak Securities. Please go ahead. Nischint Chawathe: My question actually pertains to cost-income ratio. If you could help us understand how we should be thinking about it and help us kind of how one should be forecasting it going forward? expenses actually have declined marginally on Y-o-Y basis. If you look at the nature of the expenses, most of our fixed expenses have remained either flattish or minimalistic increase and the variable expenses obviously have come down. As a result of which, overall expenses have remained slightly declined. Going forward also, cost continues to be one key focus area for the management. So, cost-income ratio would largely be a function of revenue rather than cost and we don’t expect big scale increases in cost. It is more of inflationary or controlled growth from here on, as has been the case also in the past. So, cost-income ratio would actually be a function more of revenue. Nischint Chawathe: What proportion of employee expenses would be variable? Harvinder Jaspal: Employee expenses, part of it would be variable as is prevalent in the industry, roughly about 75-25 which is what the industry assumes. Also just as a direction, in our strategy we have laid down roadmap for cost to income ratio of 50% by FY2022. Nischint Chawathe: And on the other expenses as non-employee expenses, how much would be the variable kind of related to volume? Harvinder Jaspal: Other expenses would largely be not related to volume. So, if you look at our financial line items, operating expenses are the ones which actually vary with volume where you have seen a decline on Y-o-Y basis of about 14%. The title ‘other expenses’ refer to largely fixed kind of cost like rentals, etc., So, there we could see a minimalistic inflation going forward also. Right now it has been about 6% Y-o-Y kind of a growth. Nischint Chawathe: Sure. And just other question was on the TER reduction. What have your discussions with mutual funds been kind of indicating? What proportion of it would you be taking and how should the realizations kind of move on from the current quarter to when we begin the next financial year? number. Now within that most mutual funds we are having separate negotiations and depending on how they see it, etc., you could have outcomes. Now, to my mind you should just go with the industry level number. FY2018 to FY2020 as broadly the guidance. from Saif Partners. Please go ahead. Shilpa Kumar: That is correct. reduction in the yields? Assuming that my AUM will remain the same my revenue should come down by 25%, 30%? benchmark years that we are talking about, so we are talking about FY2018 with a no impact to an FY2020 with a full impact, assuming April 1 implementation of the TER circular. So, therefore, we assume that between these two full periods there could be a 25% to 30% reduction in yields. portfolio, which is on trial commission versus the percentage of your MF AUM which is on upfront? commission and everything is on trail. And as we discussed earlier also majority of our revenues even today was coming from trail, although we did have some upfront. So, to that extent we were slightly better placed, but now from this quarter onwards anyways everything is completely trail. Umang Shah: Correct. So, sir, if you could help us with some numbers on how much of it is upfront versus how much of it is trail? based and relatively lesser was upfront. Moderator: Thank you. Our next question is from the line of Utsav Gogirwar from Investec Capital. Please go ahead. 17% on Y-o-Y basis, I see a marginal decline on a sequential basis from 0.7 million to 0.69 million. So, what is the reason behind that? And is it concerning? the advantage of investing systematically, so that stays as a philosophy with us. And clearly, as we look forward, I would say our focus on continuing to grow this will remain. from Antique Stock Broking. Please go ahead. that we will adopt the right mix of employee plus tech whenever we feel the time is right? different businesses within the same brand, so really to compare us with any one house might be difficult. So, let me say that we have one of the largest feet on street in terms of the wealth team. Also, in terms of our business partnership model, that itself is a separate team. So, in a sense, we are actually running five different businesses under one brand and all of them are moving from offline to digital in various different mixes. And clearly the focus is to look at productivity and digital efficiency going ahead. if the business doubles and maybe the number of employees might not actually double, or is that too much to ask today? changes in employee, the answer is No. But I would say on the back of demonetization we had made some investments in people with the idea of actually taking advantage of the trend ahead of us. we going about execution of this? Because while this is really the good way forward and we do not cannibalize our existing customers fast enough to accelerate our yield drop. So, how are we making this fine balance of pushing the new product at the same time not cannibalizing what has been built over seven, eight years? fee for the same. That is how we are thinking about it. Moderator: Thank you. Our next question is from the line of Madhukar Laddha from HDFC Securities. Please go ahead. Madhukar Laddha: This is Madhukar Laddha here. I wanted to know what your margin funding book is for the quarter? Harvinder Jaspal: Our margin funding book is roughly about Rs 500 crores. Madhukar Laddha: Second question, given that now Zerodha is now number one, do you think that you further need to reduce pricing? minutes when he sells shares he can get his money. So, I think we are right now actually in a sense giving many different kinds of value to customer and that value can be a mixture of whether it is service, knowledge, pricing or liquidity. So, it is a combination of all of these things. ICICI Securities? Or some sort of segmentation, any strategy in that direction? products, different pricing which appeal to different kinds of customers. So, like I said earlier, our whole focus is to keep increasing the product suit, keep increasing the value suit and keep offering different combinations of pricing, liquidity and features to different sets of clients. I think that process is already on I would say. from Reliance Mutual Fund. Please go ahead. comes to the broking part of the revenue but you look at wallet share per customer, but on a Q-o-Q basis if I look at it that way the number of active clients have gone up but your broking revenue has gone down. So, what are your thoughts on that? year in which there is muted activity from retail clients. On top of it if you even look at mutual funds, there is also impact of regulatory changes. So, all in all with these two things it is a fact that your number of customers will go up but you might see a decline in revenue that each one of them is giving. Let me tell you how we think about it, we think about the fact that if we continue to focus on customer acquisition and customer engagement we feel that will keep yielding us the desired result in the medium-term to long-term. Pratik Poddar: And just one small clarification, you talked about a 30% decline in yields for the mutual fund distribution part, right? yields were say 100 basis point by FY2020 for the industry it would become 70 basis point, that is how I should think about it, right? Harvinder Jaspal: Full FY2018 to full FY2020, this could be the impact. Moderator: Thank you. Our next question is from the line of Anubhav Vashist from Sharekhan Limited. Please go ahead. you elaborate on that and terms of how will it pan out? And the second question is, can you please provide the ADTO figure in terms of equity and derivative segment? about our strategy there will be lots of things which are work in progress, there will be lot of things which have been rolled out. So, in terms of rollout we have actually planned to come out with maybe a membership kind of programs which will allow customers to benefit from different value propositions from the company. So, that is one part. Second part is, we will probably think of something similar for all sets of people whom we associate with for this business. But like I said, we have made a lot of progress on our strategic initiatives in this quarter but again we will continue to do that over the coming quarters as well. Anubhav Vashist: And if you could please provide the ADTO figure in terms of equity and derivatives? billion. Now, although separately we do not provide a breakup of derivative and equity but we understand that industry volumes are roughly in a ratio of about 95:5 or 96:4, somewhere in between it oscillates. We would not be very different from that, but overall our ADTO was Rs 530 billion for the quarter. Moderator: Thank you. Our next question is from the line of Nikhil Walecha from HSBC. Please go ahead. model moving towards the direct model. The kind of hit that distributor would take moving from an intermediately model to a direct model, would that be far higher than what the impact you anticipate on new SEBI guideline? You talked about 25%, 30% drop in revenues and fees on the mutual fund side. But if one were to move away from brokerage model to advisory fee model, would that also be one more impact on top-line that we should build in over a period of time as you move the clients? person were direct, through a platform like us it becomes also much easier to execute the thought process. Moderator: Thank you. Our next question is from the line of Nidesh Jain from Investec. Please go ahead. Nidesh Jain: The question is on e-ATM, how is the traction in that product? Have you seen material numbers since we have launched that product for retail customer? And secondly, how are we financing the float that we are providing to the customer? we will keep track of this and indeed I see that lot of customers picking up on this proposition. Nidesh Jain: And how are we financing the float? clear which is why there is a cap of Rs 50,000 which we had put for a customer. So, it was more a convenience thing rather than an economic thing, though of course the extent of Rs 50,000 is also economic. So, that is really how we looked at it. Shilpa Kumar: Sure, nothing stops us. And indeed, there would be discussions going on this front. customer does not value the interest income that he is forgoing on the float and he is not able to appreciate that opportunity cost of capital and that is why the company has been able to make a sustainable business model. How are we thinking about giving that value proposition or advertising or at least informing the customer that he is better off even in our model because he is paying money only at the moment that he is transacting rather than paying three days or one month before the transaction? your orders are executed, liquidity is given back to you T+2, now these are all very important things, but you are right, different customers are putting different importance to it. I think when I say that we are looking at the entire spectrum of cost benefit that the customer has, and looking to see how we can give it to the customer in different ways, that work is still going on. Right now, what we are doing is focusing a lot on actually giving benefits in the form of things like e-ATM, etc, to all our customers. there are no further questions, I would like to hand the conference back to the management for any closing comments. Shilpa Kumar: Thank you. I think it has been a late evening and appreciate all of you taking the time out to hear us and to also share some of the thoughts that you did. Thank you and good night to all of you. Moderator: Thank you very much. On behalf of ICICI Securities Limited,that concludes this conference. Thank you for joining us, ladies & gentlemen. You may now disconnect your lines.